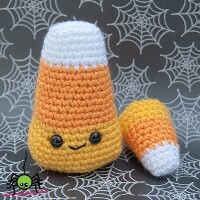 Crochet a bunch of these for halloween handouts instead of rotting the neighbourhood childrens' teeth! what a lovely pattern and its free!! Absolutely gorgeous ! Love your creativity ! !